The Rotary Club of Potsdam recently donated school supplies from their Back to School Drive to the Parishville-Hopkinton Central School. The club collected three totes' worth of supplies for the school. 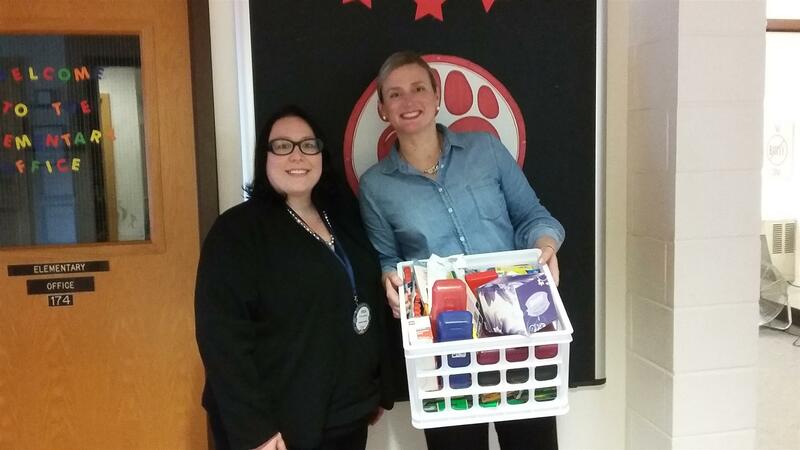 In the photo, Principal Ginny Doll (right) accepts the school supplies from Rotary President Erica Leonard.